Check roses for signs of downy mildew or pest damage, and spray if necessary. You could also check roses and other vulnerable plants with soft tip growth for aphids, which often gather on fresh, young growth in spring — squash them with your fingers or hose off. If they’re extra persistent on roses, spray with a pyrethrum-type spray. Plant new roses using plenty of compost and feed your existing roses with rose fertiliser. Plant out perennials and summer flowering plants, such as dahlia, cannas, begonia, gladioli and calla lily. 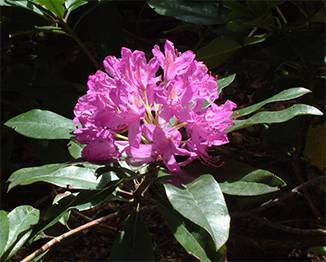 Prune spring flowering shrubs after flowering, and deadhead rhododendrons. Feed acid loving plants such as camellias, azaleas and rhododendrons after flowering with acid fertiliser. Sow seeds of flowering annuals directly into the ground – alyssum, californian poppy, statice, marigold, cosmos, nasturtium and sunflowers. Sow in trays for transplanting later – carnations, dahlia, livingstone daisy, petunia, salvia and gerberas. Plant out seedlings of flowering annuals, such as marigolds – but watch out for slugs and snails around fresh growth – these pests love seedlings, and also like to eat the flower petals of clivias, which should be flowering this month. Mulch all plants to conserve moisture, and feed annuals, perennials and flowering shrubs. Continue planting passionfruit, rhubarb and tamarillos. Feed all citrus with citrus fertiliser. If you need to spray your apple and pear trees, do it before blossom appears so you don’t harm the bees. Feed strawberry plants with compost, dried blood and a little liquid fertiliser. Potted strawberries need to be fed every week or so to keep them growing strongly. Be vigilant about pests in orchards – pheromone traps are useful for trapping male codling moths to prevent worms invading your apples. Earth up your potatoes to protect tubers from light. Sprinkle cabbages and cauliflowers with Derris dust to control white cabbage butterfly caterpillars. Mulch seedlings with straw or tuck them up under a plastic or glass cloche at night to keep warm and sheltered – this is a season of sudden temperature changes. Climbing and dwarf beans, peas, carrots, radish, sweetcorn, beetroot, silverbeet, spinach and parsnip can be safely sown now that the danger of frosts is over. By the time they surface above ground, the weather should be reliably warm. Add plenty of compost, a dressing of general garden fertiliser and transplant seedlings such as corn, pumpkins melons and zucchini. Extra tender crops like tomatoes and capsicum are best planted later in the month, around Labour Weekend. Give your lawn a spring feed with lawn fertiliser and spray for broad leaf weeds and Onehunga weed to stop summer prickles. Remove young pups from bromeliads when they reach a third of the size of the parent. Carefully tear or cut each pup free, and pot into a gritty or barky mix of compost in a snug fitting pot.